MCN’s senior road tester Michael Neeves has seen Benelli's new roadster – a bike that looks set to rival Honda's Hornet, Triumph's Street Triple and BMW's F800R. 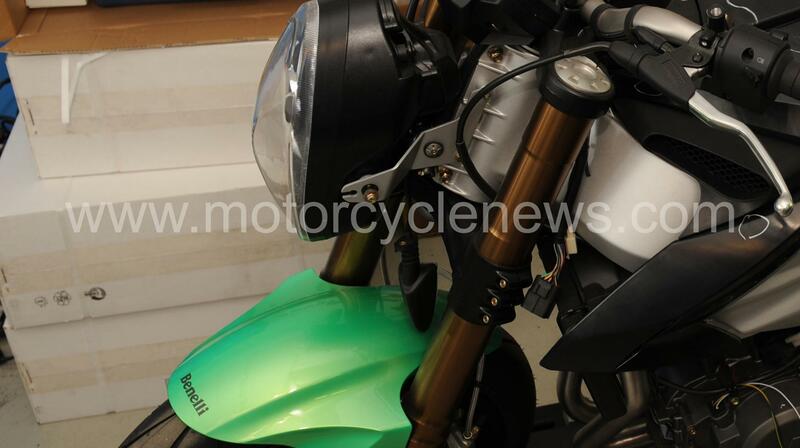 The new parallel-twin Benelli will cost around £7000. Neeves said: "I was at the factory to test Benelli’s Tre899K (see last week’s issue), when I saw the 2ue being dyno tested. I wandered in to the R&D department and everyone just carried on working." "I got to hear the Benelli being thrashed through the gears on the dyno and it sounds fantastic. It has a deep, roaring bellow at high revs and makes 95bhp @ 10,000rpm at the rear wheel, although judging by the noise it makes I’m not sure the exhaust is legal." The full story and more pictures will appear in MCN on the 3rd of June. Weight: 178kg (claimed, wet, ready to roll).